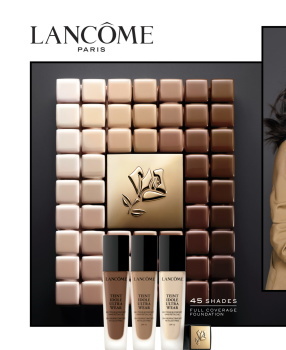 Diversity at Lancome is much needed and Lisa is attracting the right mix of faces and personalities. 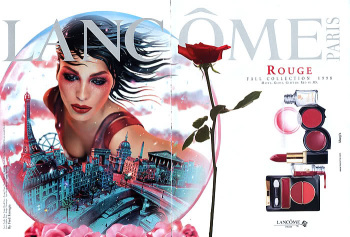 However I'm getting bored with the campaign imagery for Lancome's long-standing, standard product lines. 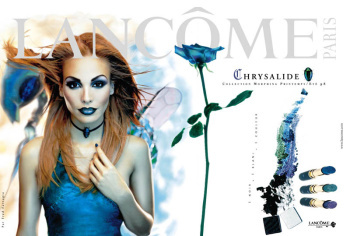 Where are the fantastical, daring, creative campaign images for new product launches, seasonal offerings from Lancome under Fred Farrugia or Gucci Westman? Those were the ads I used to decorate my bedroom walls with. 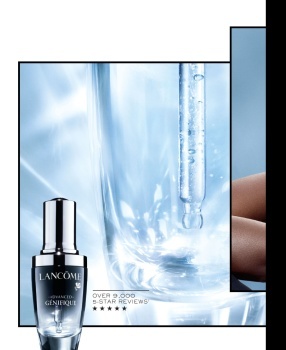 Lancôme got the worst photography of all cosmetic brands. Their models don’t look good in pictures. Especially Taylor Hill. Not to mention the diversity casting that they need to work on. I think colour collections were remarkable. It was as important as clothing lines very often coincided with what went down the runway. It's a shame that it doesn't seem to be pushed enough nowadays which is odd considering the makeup industry is only getting bigger by the minute. ellastica and tigerrouge like this. Picking Zendaya was very smart. Young people love her, she's pretty, successful and comes across very well, not problematic and funny. Also she's very young; young girls nowadays wear a lot of makeup, thick layers of foundation, contouring, lipstick, etc., a lot more than women past their 30's. 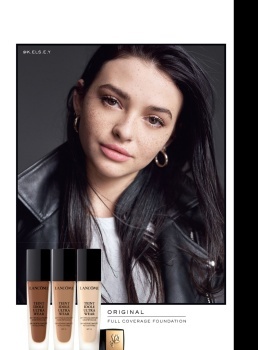 Teenagers seem to be huge makeup consumers and they don't just buy cheap brands. AFWQ and tigerrouge like this. 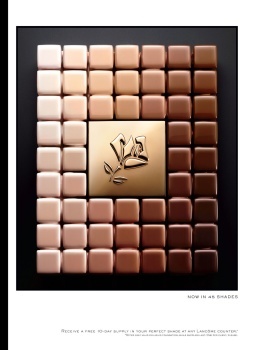 L’Oreal, Maybelline, Estée Lauder, even RIMMEL all used to produce incredible campaigns, products and stunning packaging to boot. 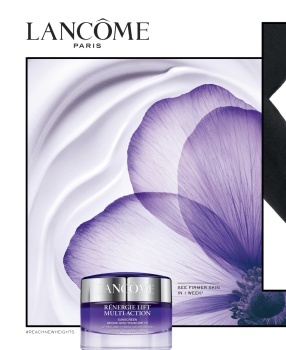 The Lancôme ad concept which really stands out for its boundary pushing unexpected creativity is their Pollen campaign. So completely out of the box but executed beautifully. Also anyone remember those EL cubes? Those were miniature pieces of art! 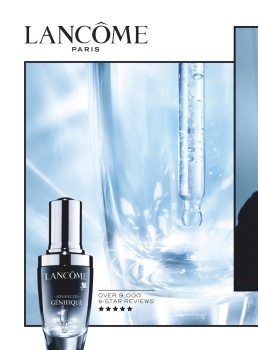 Oh that Lancôme instinct campaign. Love that one, in fact that’s my scan ☺️ But wow the lace brow tattoos. GivenchyHomme, TaylorBinque and anlabe32 like this. I hope they don't get Zendaya to promote anti-aging skincare. But seriously though, they always make Taylor Hill look like a 30 year old who doesn't know how to put on make up. I beg your pardon!?! Those campaigns ran way before Tyra's launched that show after her modelling career dried up. In theory, she stole those ideas off them, lol. Unlike good old stuff that has been imitated many times and yet remain good, these ones didn't stand the test of time. I can't get behind the new art direction. And I'm sure Alexei has photographed these images, that corny setting reeks of his aesthetic. 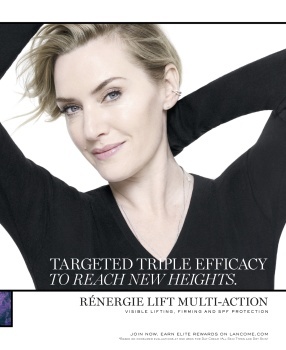 Also, could Kate Winslet look any more anaemic in the second campaign? But the return of Isabella is a welcoming sight. 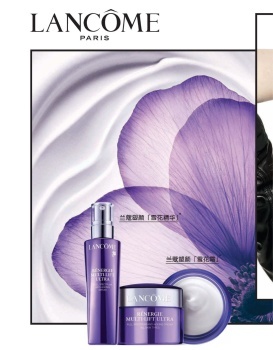 Lancome it's one of the strongest beauty brands in the world (if not the strongest? ), and their main goal right now it's to make the brand more youthful and playful for younger audiences, thus the integration of Zendaya and the use of Taylor Hill with more peachy colours, I doubt the rénergie shots will get much appearance in the public eye. You must take into consideration each franchise, and analyse it in its own, and not as a brand. 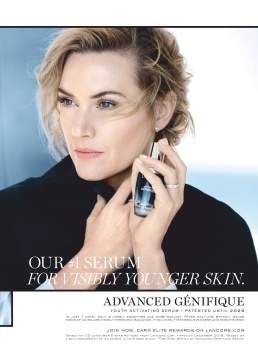 Rénergie, even though the pictures are not stunning, they are products catering to an older audience (even though I agree Kate Winslet shots are not stunning, they probably connect better with the audience than a really stunning picture). I really like where they are taking LVEB with Julia Roberts, these shots continue the storytelling and giving at the same time a breath of fresh air. Lastly, they must be doing something right, since their performance is getting stronger than ever. 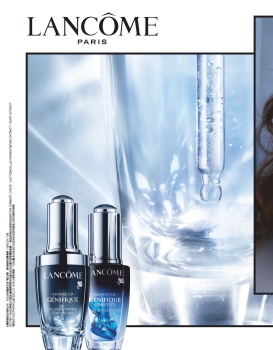 It's actually interesting that you're mentioning the franchise angle because Lancome follows a very precise ad direction. They only assert their presence once in any given magazine. 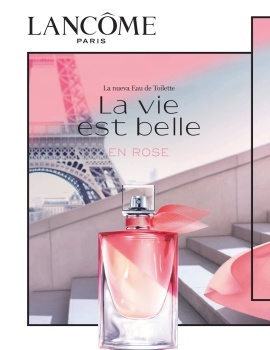 Meaning if LVEB appears in a mag, you won't see another ad for Renergie etc in the same magazine. 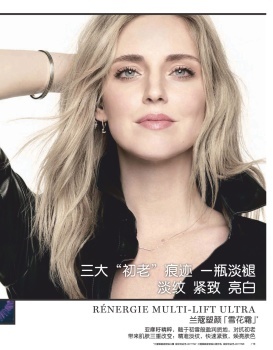 Maybelline and L'oreal are the most aggressive when it comes this because they easily take up 6/8 pages and scatter all of it in the front part of the magazine. 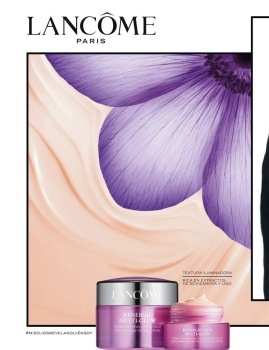 Revlon doesn't even have a print presence. 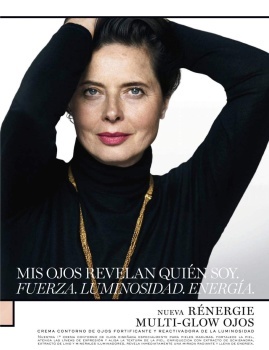 They've made a bit of a blunder with Penélope's latest Vogue foldout covers though. 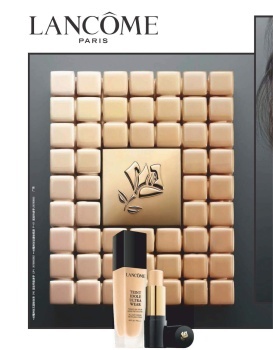 Supplied the makeup for three edits in the issue, but failed to secure gatefold ads which oddly enough went to Estee Lauder. Very few to no readers actually bother with the fine print to see who exactly supplied the makeup. That wasn't very strategic. I haven't seen much of Taylor's ads so far. 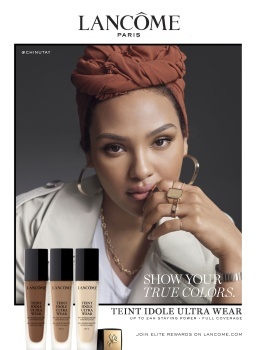 I think she's got one some for Renergie or AG which I saw in passing, but in general, she gets the least print ad coverage. It's mostly Kate, Lupita, and Chiara.